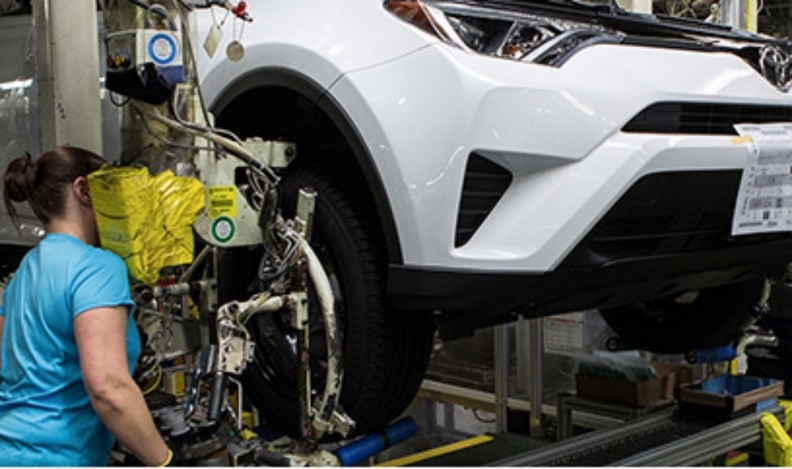 Toyota Canada received about $42 million from the Jobs and Prosperity Fund to help pay for a $421-million investment in Toyota's Cambridge and Woodstock assembly plants. TORONTO — Ontario Premier Doug Ford will keep his pledge to end a $3.2-billion fund that automakers and suppliers used to help finance manufacturing projects. Jim Wilson, minister of economic development, job creation and trade, said other funds, including regional ones sometimes used by smaller companies, will remain in place even as the Jobs and Prosperity Fund shuts down. But companies can expect higher job-creation expectations and more auditing to secure funding. Ford, whose Progressive Conservatives swept into power in a June election, campaigned on promises to cut what he called “corporate welfare.” He singled out the Jobs and Prosperity Fund, created in 2014 under former Liberal Premier Kathleen Wynne. It was one of several issues on which Ford and the PCs diverged from the platform of the New Democratic Party, now the Official Opposition. The NDP pledged in its 2018 platform to “create a stream within the Jobs and Prosperity Fund to promote manufacturing research and development,” while working to create a “single window” for automotive investments. The fund has doled out hundreds of millions of dollars to automotive companies, including Honda Motor Co., Toyota Motor Corp., Fiat Chrysler Automobiles, Ford Motor Co. and supplier Linamar Corp., to help fund various manufacturing projects. The Ford government’s stance on the incentives was cause for concern for some industry executives. Flavio Volpe, president of the Automotive Parts Manufacturers’ Association, said that while, “in a perfect world,” Ontario and other jurisdictions would not have to compete with each other on incentives, the province risks becoming less competitive if it takes too many incentives off the table. Mark Nantais, president of the Canadian Vehicle Manufacturers’ Association, which represents the Detroit Three in Canada, said the group plans to meet with the provincial government to discuss incentives and other ways to make Ontario less cost-prohibitive for companies. He said incentives are important to attract automaker investments necessary to keep manufacturing in Canada. Wilson said other incenives and funds will remain in place and that the government will honour all contracts under the Jobs and Prosperity Fund.